Yupo Cardstock 8" x 10" White for Alcohol Ink. Great to use with the new Alcohol Lift Ink Pad. Ranger Tim Holtz Alcohol Ink products for paper and craft projects. 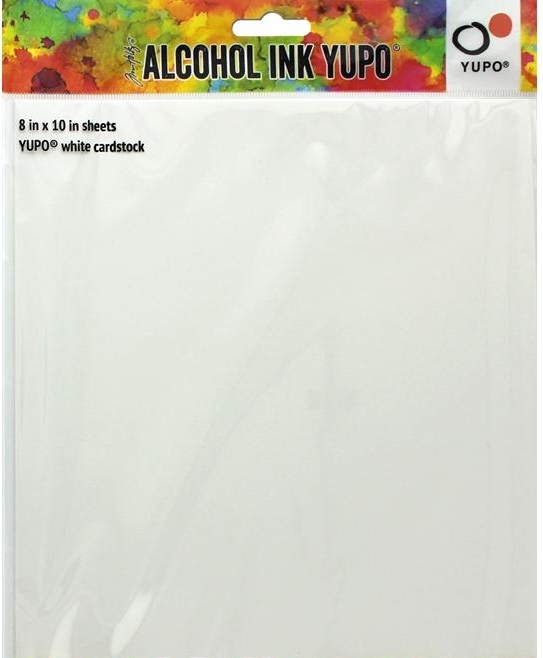 Yupo Cardstock 8"x 10" White- Smooth, synthetic surface perfect for use with alcohol inks and mixed media techniques as it is non-porous and water resistant. 86lb. heavy-weight cardstock resists buckling and dries quickly. Pack contains 5 sheets.